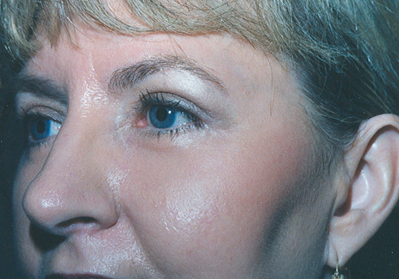 Blepharoplasty or “lid lift” is surgery to remove excess skin and fatty tissue from the upper or lower eyelids. 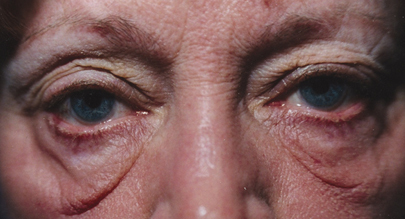 As time goes by, the eyelid skin stretches and sags, leading to a droopy appearance. This can be exacerbated by seasonal allergies, manipulation of the delicate lid tissue with contact lens wear or eye makeup removal, and hereditary factors. In the lower lid, there is a layer of tissue called the septum that becomes weak over time. Once the septum weakens, like wet tissue, the fatty pads “pooch” forward, leading to a “baggy” appearance. 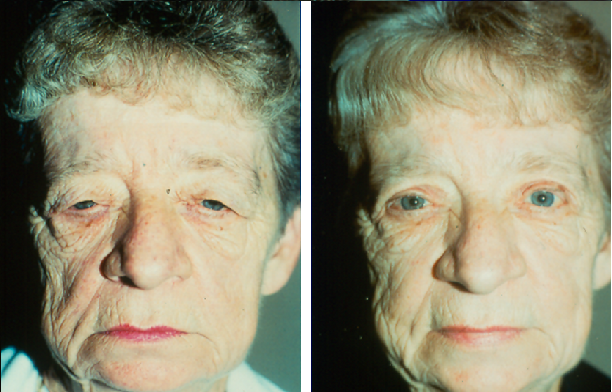 Before and after eyelid surgery of older woman with severe droopy eyelids. 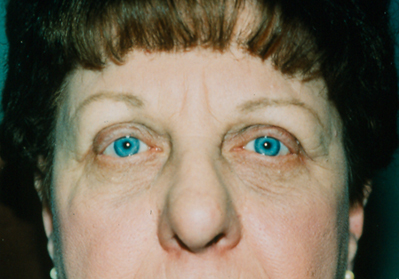 Woman around age 40 with excess skin on her upper eyelids weighing them down and making her look and feel tired. Removing the extra tissue made a big difference in how she felt and how she looked! This gentleman was concerned that his baggy and droopy eyelids made him look tired, and older, and less competitive in the workforce. After the procedure he looked better, could see better, and was very happy. 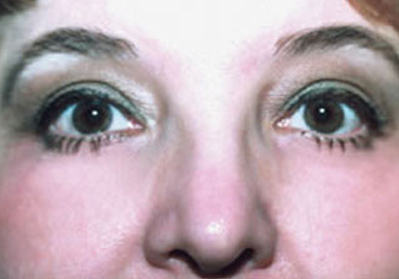 Young woman with heavy upper lids before and after blepharoplasty. 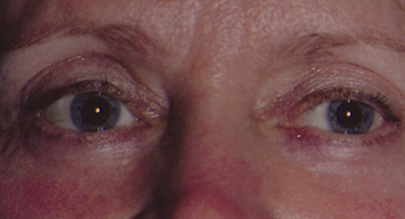 Very young woman (early 20’s) with baggy lower lids, and 2 weeks after invisible blepharoplasty of lower eyelids. 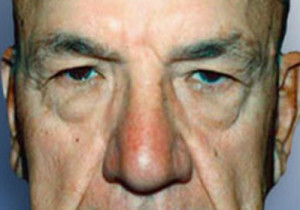 Before and after eyelid surgery to correct droopy eyelids. 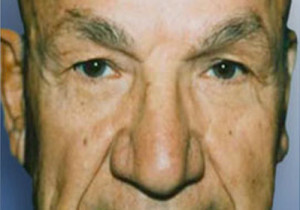 Before and after eyelid surgery to correct both droopy and baggy eyelids. 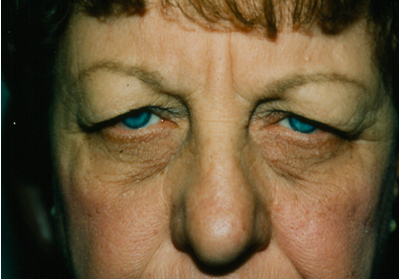 This woman was tired of being told she looked angry all the time and had limited side vision from her droopy baggy lids. Before and one week after both droopy and baggy lids fixed. This young woman didn’t like her baggy eyelids. She chose to have blepharoplasty on her upper eyelids with invisible blepharoplasty and laser resurfacing on her lower eyelids. Here she is before and a few weeks after her eyelid surgery on all four lids. This patient was unhappy with her droopy baggy lids, both upper and lower. 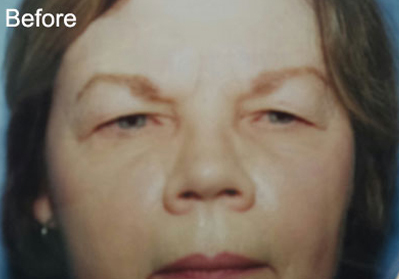 She chose to have them all fixed and had blepharoplasty of the upper lids, invisible blepharoplasty and tightening of the lower lids with laser resurfacing of the lower lids and face to give her a younger more vibrant look. 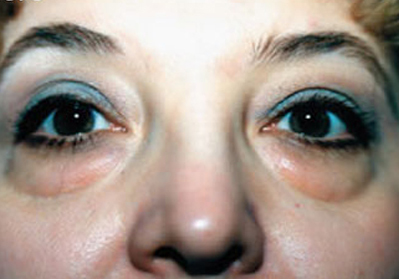 This patient had severe bags of the lower lids with laxity and festoons. She also had baggy upper lids. She chose blepharoplasty of the upper lids, invisible blepharoplasty of the lower lids with tightening and cheek elevation, along with laser resurfacing to smooth out her skin. Here she is a month after surgery. This woman was tired of feeling and looking tired and had difficulty seeing to the sides especially when backing out of her driveway. 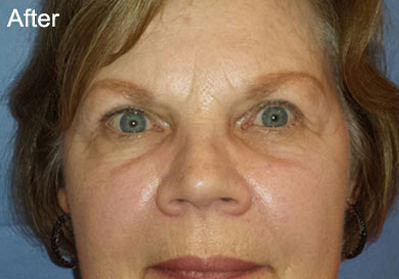 After ptosis surgery and blepharoplasty she was able to see better, look better, and is very happy. 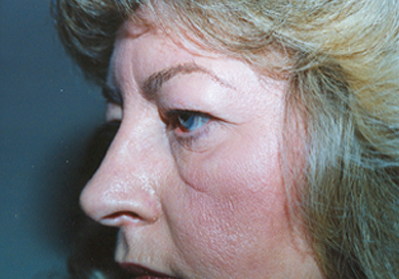 Before and after a brow lift combined with lower eyelid surgery. Note: Upper eyelids were not operated on. Are you “tired of looking tired”? Men and women who feel that the mirror does not reflect their true spirit or energy may benefit from a lid lift. If you’re ready to find out if you are a candidate for an eye lift, schedule your appointment with Dr. Lisa Bunin for a consultation. She has preformed eye lift surgery on patients from all over the Lehigh Valley including Allentown, Bethlehem, Stroudsburg, Washington, Coopersburg, Quakertown, Doyleston and others. The eye area recovers quickly and once healed it is very difficult to even see where the surgery was preformed. It is an outpatient procedure with minimal discomfort and downtime. Recovery is typically prompt, with patients driving in a day or two. Suture removal occurs in 7 to 10 days. Contact lens wear can be resumed in about 2 weeks. Usually, one can return to a “desk job” environment with the aid of light sunglasses within a few days.